Cada 4 de julio, cuando el gringo celebra su conquista de estas tierras, tambi?n tiene su manera de recordarnos quien no somos "americanos": pobres, migrantes, latinxs, afroamericanxs, descapacitadxs, j?venes, la comunidad LGBT. Una de sus t?cticas es el ret?n, una violaci?n del derecho individual, y que tiene como finalidad el objetivo de encajarle a uno en una categor?a. Sigamos resistiendo. Every July 4, the descendents of the settlers who appropriated these lands and the oppressed they have assimilated celebrate that conquest. They always seem to set up checkpoints around this time, too, as if to remind us who is not "American": the poor, the migrant, the latino/a, the African-American, the disabled, the young, the LGBT community. This violation of basic dignity, like all forms of conquest, is an attempt to place people into a category and, if possible, commodify them. Keep up the resistance. The Automobile Club of Southern California also is offering its free "Tipsy Tow" service from 6 p.m. Saturday to 11:59 p.m. Monday. People who have been drinking can get a free one-way tow and ride home for up to 7 miles by calling 800-400-4AAA. 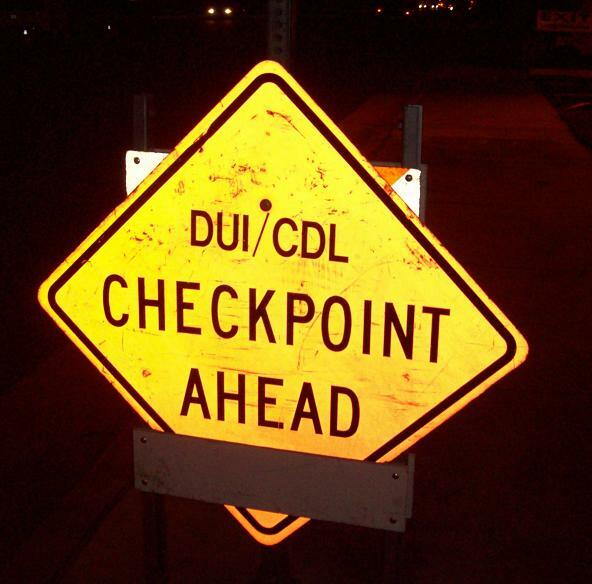 UPLAND (CA) - Checkpoint on NBound Euclid between 7th and 8th. Franklin COunty (OH) - "sobriety checkpoint in the eastern part of Franklin County on Saturday." (http://www.abc6onyourside.com/shared/newsroom/top_stories/videos/wsyx_vid_11906.shtml)"